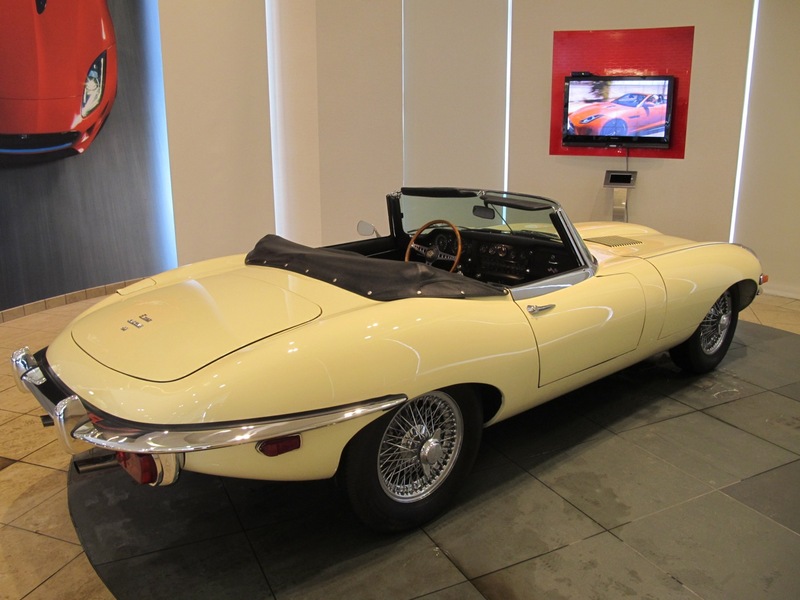 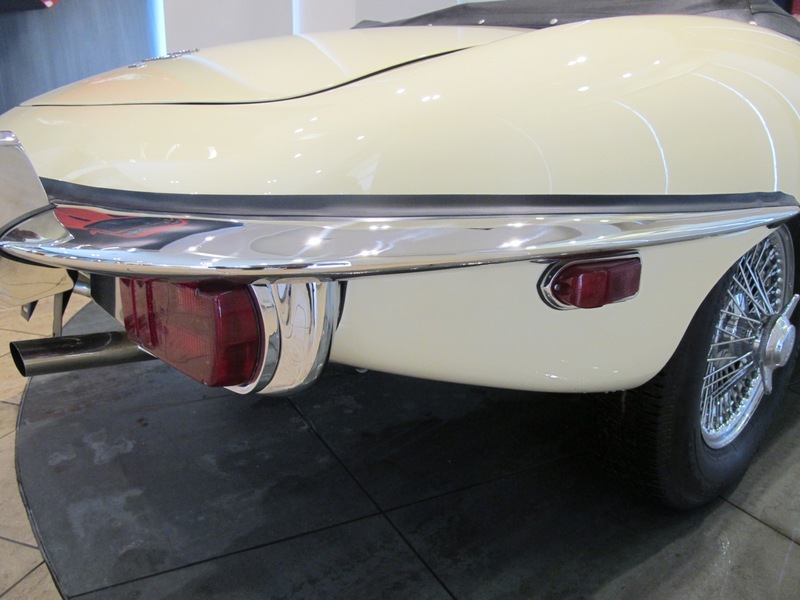 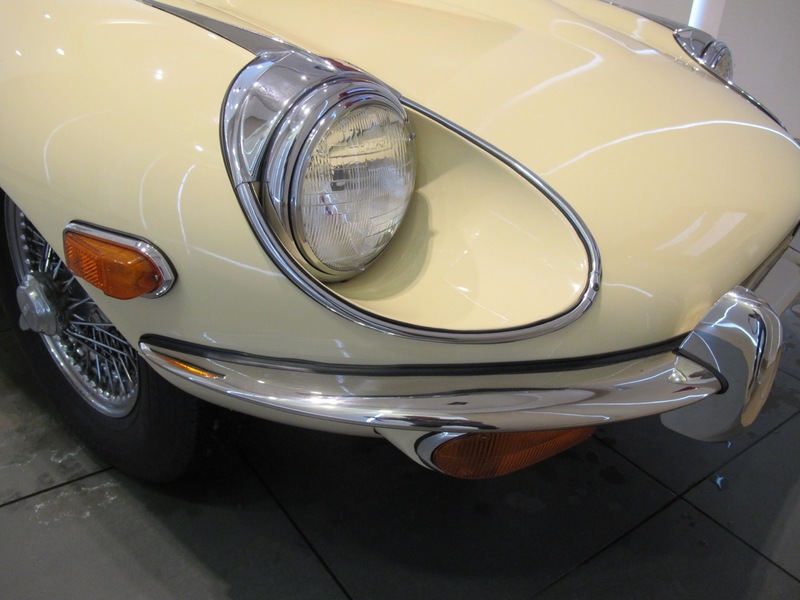 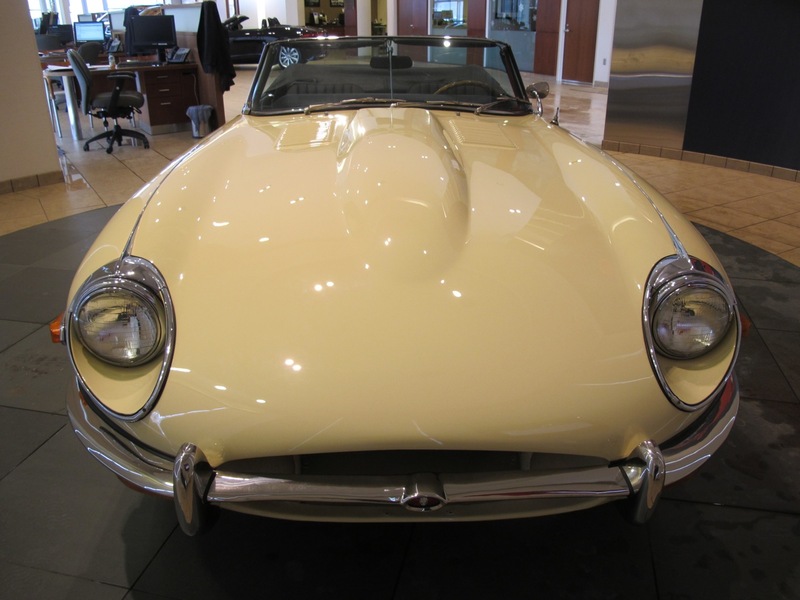 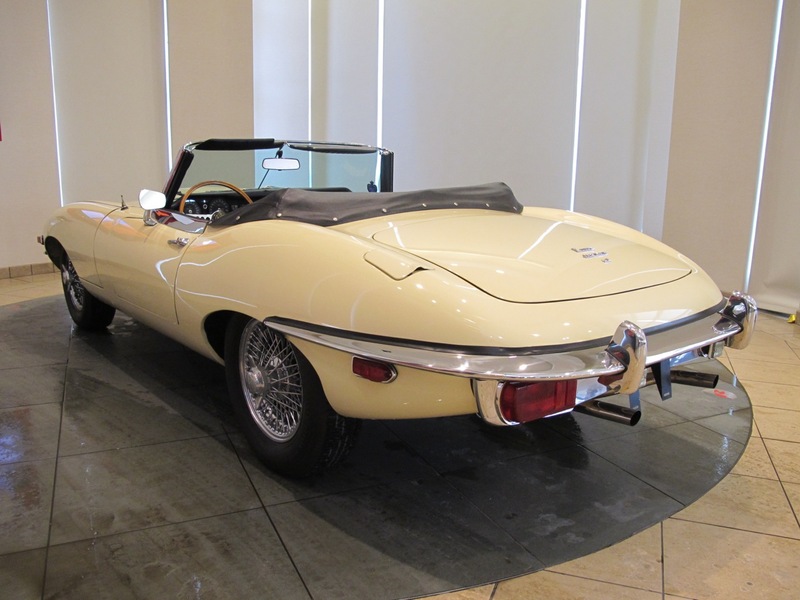 Built on August 14, 1968 according to factory records, this charming E-Type Open Two Seater was dispatched just over one month later to Jaguar Cars, New York, eventually finding its first owner out west in Glendale, California. 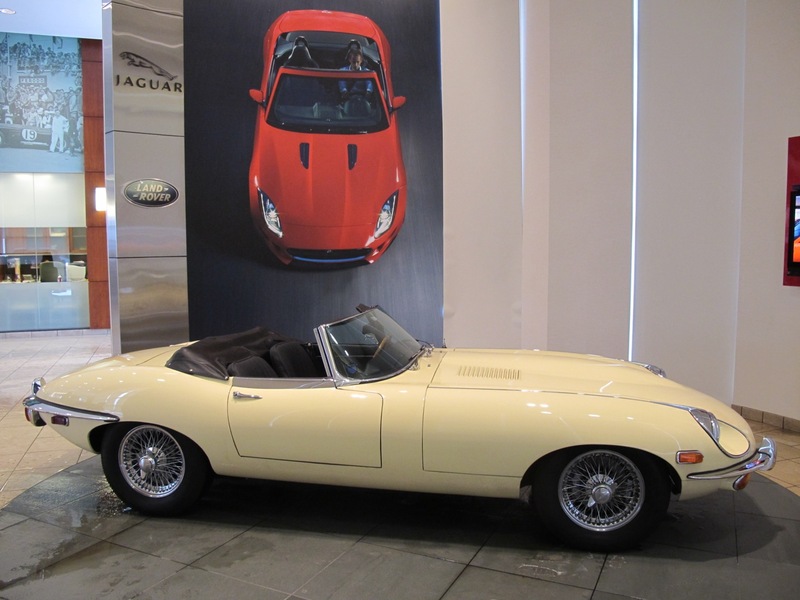 It appears the Jaguar remained on the West Coast; its prior owner, of Big Bear, California, acquired the car in 1998 and was under the impression he was only the car’s third owner. 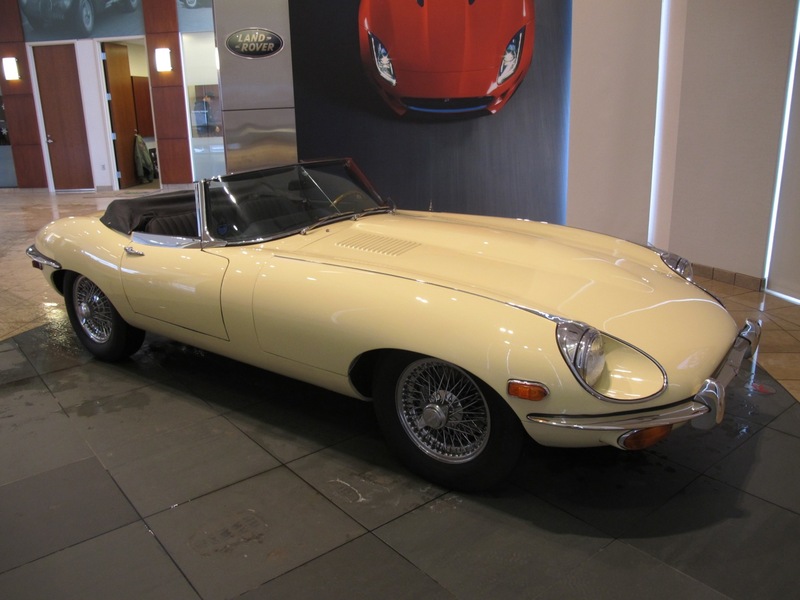 Apparently a garage queen for many years, the Jaguar has been driven sparingly since then. 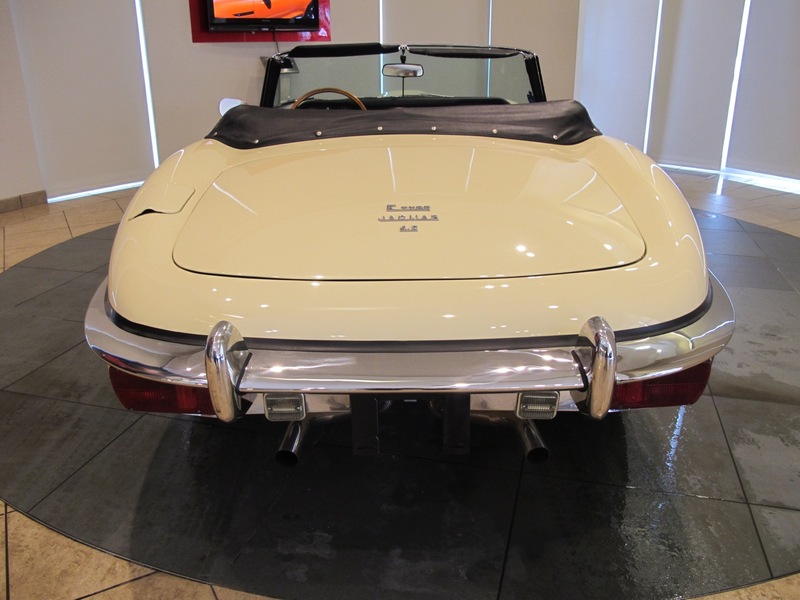 Originally finished in Daimler Silver Grey over black upholstery with a matching black top, this left-hand-drive Roadster is understood to have had its engine and drive train rebuilt during 1997-1998 and has seen few miles since. 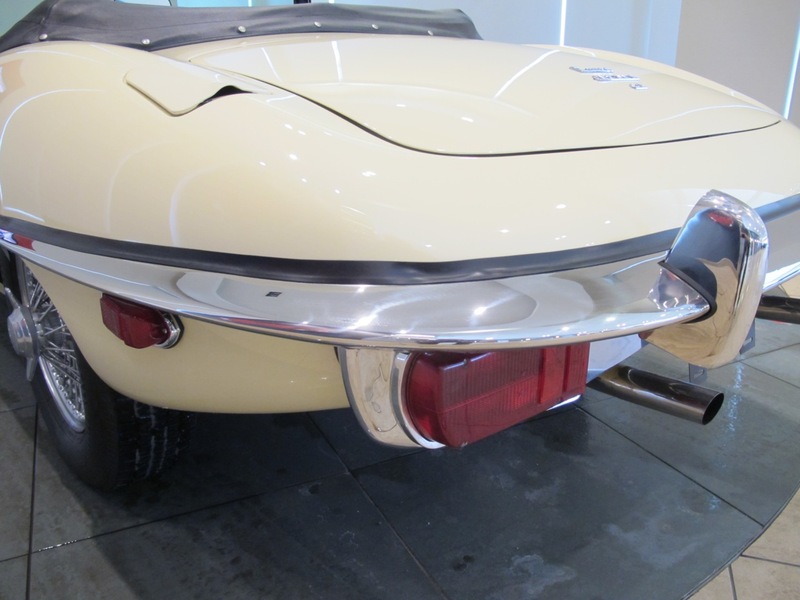 The matching numbers engine is reportedly the high compression European-spec version with the gold head and triple SU carburetors in place of (American spec) twin Strombergs. 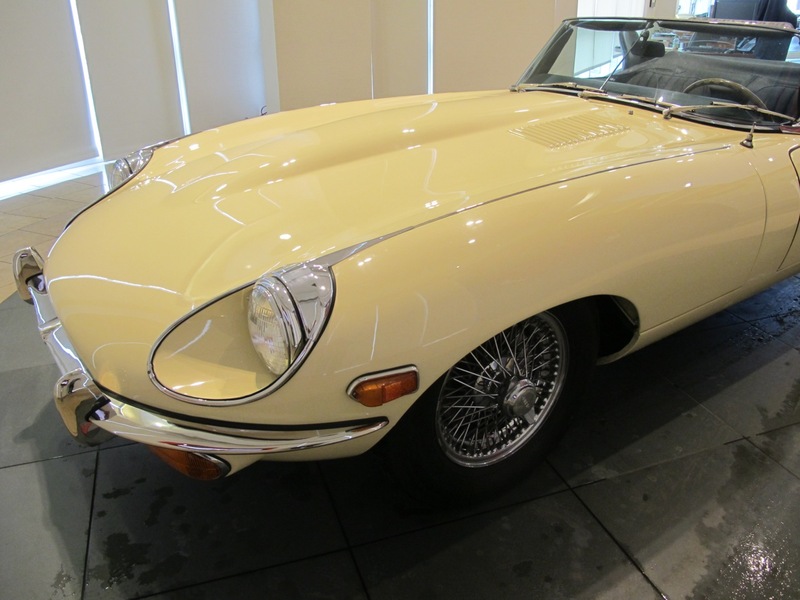 The car was just refinished in the period-correct shade of primrose yellow, and a new black leather interior and canvastop has just been installed. 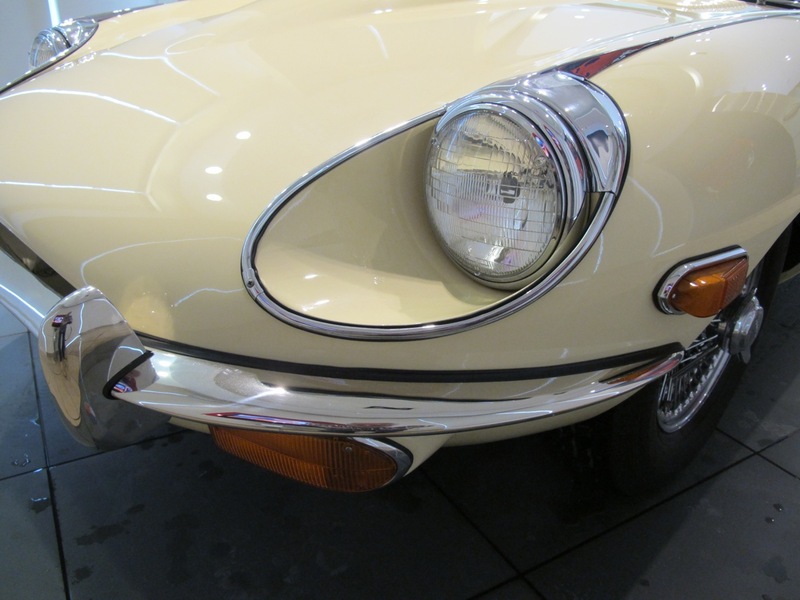 Offered with a tool kit and an extensive file of receipts documenting its restoration, this lovely Series II E-Type is an attractive example of the breed, boasting a long history of California ownership.